These moisturizers are the perfect antidote to dry, dull hair! Whether you're an LOC natural, LCO gal, nightly moisturizer, or twist out queen, moisturizers have earned their rightful place in any natural hair regimen. Depending on my mood, the season (or curl definer of choice), I may skip my leave-in altogether and go straight to the creamy moisturizers to pull double duty. And that's the col thing about these products - if you're looking to become a natural hair minimalist or just spend less money, these picks are packed with nourishing oils and butters that will keep your curls hydrated, moisturized, and soft for days on end. With these three, you can't go wrong! I remember my first encounter with the Moisturizing Avocado Hair Milk like it was yesterday. 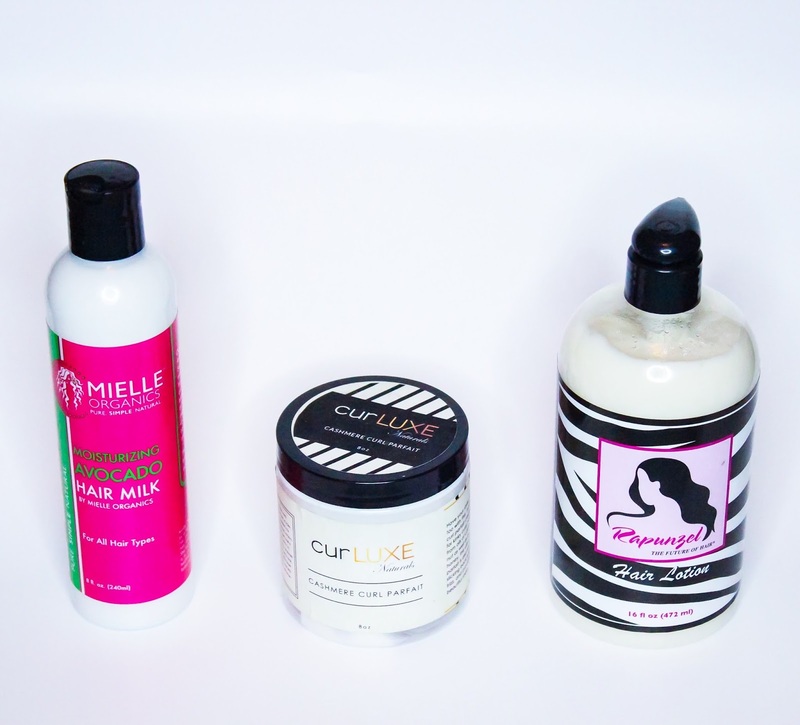 It was early February, and I had JUST discovered how bomb Mielle's Babassu Oil Mint Deep Conditioner (yep, the Christina's Choice 2016 winner) and Avocado Hair Milk were. I felt so betrayed by y'all, because I felt like the whole natural hair community was in on a secret and couldn't nobody bother to tell me. I've long since processed my feelings and hold no ill will toward you guys. Swear. Lol. All things considered, I've grown to love and absolutely adore the Moisturizing Avocado Hair Milk. 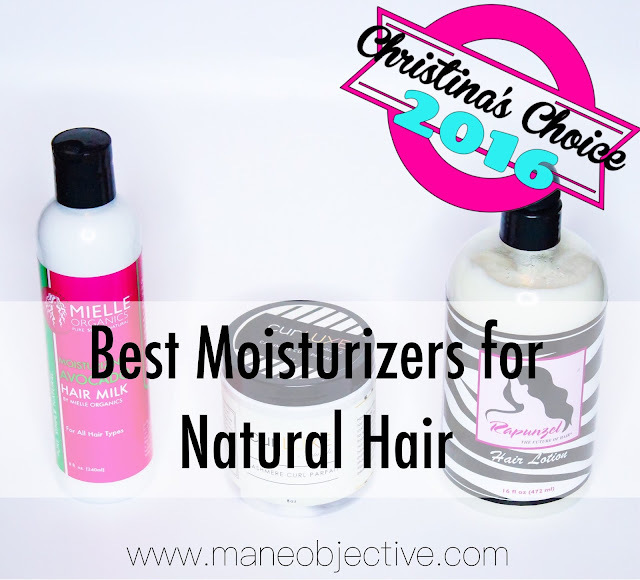 It's creamy, thick, but not overly so, super moisturizing, and totally versatile. I've kept a bottle in my stash every month since February, which is no easy feat considering how it's sold out nearly every time I go to Target or Sally's. Listen. I fell for Cashmere Curl Parfait....HARD. Like, when-I'm-alone-in-my-room-sometimes-I-stare-at-the-wall LL I need love hard. This super thick, creamy, curl quenching for days on end miracle in a jar rightfully earned its place this year - and I wasn't the only one feeling the Cashmere Curl Parfait. My good friend Antoinette of Sup and Dine came to my house for a wash and go session this year, and left wanting to re-name her kid Cashmere Curl Parfait. It's that real out here, folks. Rapunzel has been down with me since my transitioning days - seriously. I loved it then, and I love it now. It's literally perfect. Perfect thickness, perfect consistency, perfect ingredients, perfect performance. Anytime Rapunzel's Hair Lotion is involved, I'm virtually guaranteed a great styling result - in everything from wash and go's to satin strip braidouts. I can't get enough of it - and in the past 6 months, I've been using it like crazy. It's rich in avocado oil (the second ingredient, literally), and my hair loooooooves avocado oil. It gives me moisture, shine, softness, and smoothness without feeling greasy or heavy. Just...perfection. This was a tough one for me. But ultimately, the stand out for 2016 is Rapunzel's Hair Lotion. When it comes to Hair Lotion, I am a woman obsessed. It's a stellar performer year-round. I can't get enough of the consistency and performance. It's versatile and works as a part of an LOC/LCO method or on its own serving double duty as a leave-in and moisturizer. It's great for refreshing the curls and maintaining moisture between wash days. It's lightweight yet heavy-duty enough to be adored by naturalistas, transitioners, relaxed, and heat straightened ladies alike. I don't EVER want to not have any Hair Lotion in my stash. It's that real. What moisturizers are winning with you as we go into 2017? Any on this list you're anxious to try?Let me know in the comments below! Stay tuned - best curl definers are next!